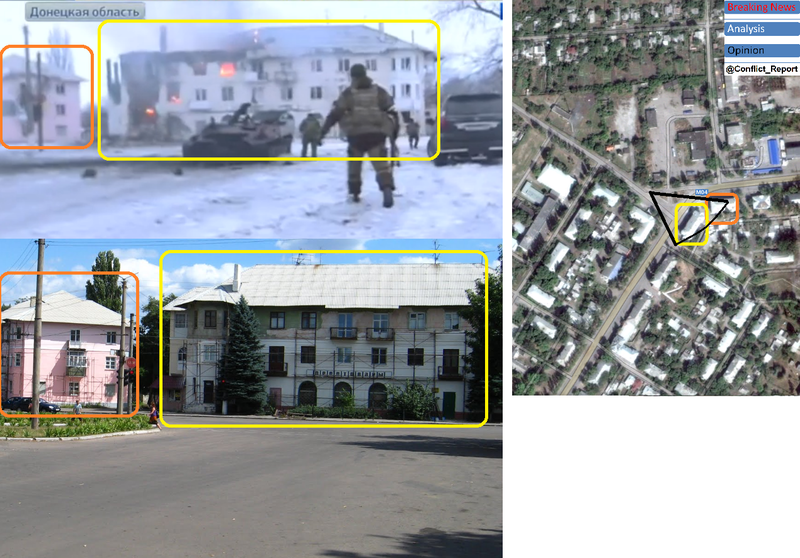 This entry was posted in Ukraine and tagged Debaltseve, Donbas, Invasion, Russia, Ukraine, Vuhlehirsk, War by Julian Röpcke. Bookmark the permalink. 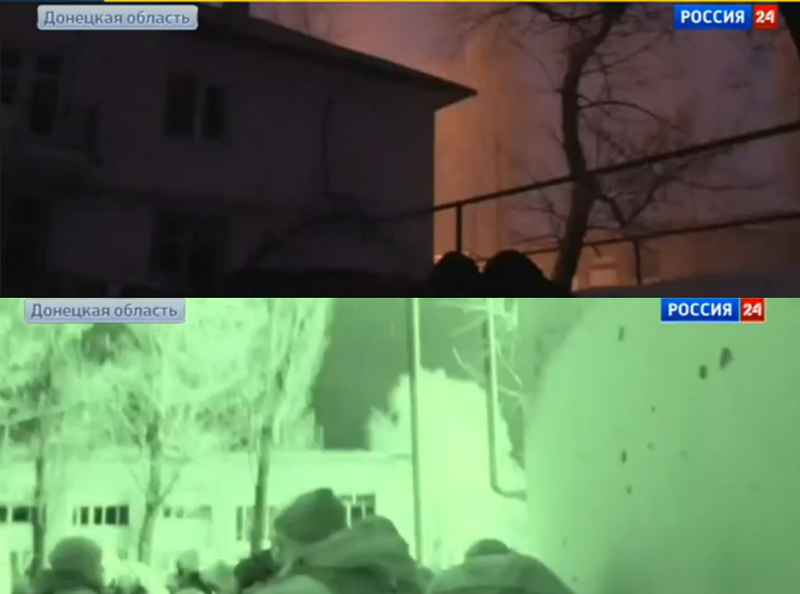 There is no “Russian Forces” on the ground, according to ukranian officials. Not exactly. Media, especially Ukrainian media first and foremost, misquoted and placed the statement of Viktor Muzhenko, the head of the General Staff, out of context. What Muzhenko said is that it doesn’t appear that _currently_ Ukrainian forces are being engaged _in direct firefight_ by _regular units_ of the Russian Army. He said that there are Russian servicemen among militants though and that Russian servicemen command these militants and provide them with military specialists and instructors. He also said that regular units of the Russian Army make up the second echelon of the forces of the so called “separatists”. Ukraine has to pull out of Debaltseve + accept cease fire/ current frontier ASAP or they are doomed ==> they did not use the time since sept. 2014 for full mobilization allhough it was obvious that the Russians would attack sooner or later; instead some spoke of retaking Crimea, idiots!!!! Europe and the United States abandoned the Ukraine alone with the superior military forces of Russia. Not helped by what weapon, even a slingshot to no avail. Hope that Russia would not attack on the European Union. Ukrainians think this will be forgotten? Betrayal nobody forgets. There are killed every day tens and hundreds of Ukrainian soldiers and Europe only expresses concern. it IS VERY much our business – take a look at greece, london(->litvinienko), serbia, etc… – it is time for the EU to ACT NOW!!! If Europe carries on this (narcotic) way, then we could close the file “Europe” forever. It has already begun – Greece is only a start. Huylo wants Europe down – at this time, there shouldn’t be any doubt about that. German LEO’s and MILANs for Ukraine NOW – or close Europe down for good!!! BUT ACT!!! Poland could just have surrendered to Germany, and that whole WW2 could have been avoided. Yes, Europeans are short-sighted Cowards! They have to impose higher costs on Russia ASAP! Why should we go to fight there if Ukrainian people doesn’t want to fight? And why should they? To get killed for some oligarch? Someone in Kiev felt strong and kicked Russian bear in balls and now it is too late to cry. Any “help” from outside would just mean more killing. I’m very sorry but there is no way how Ukraine can win this war if Russians will still be supporting the conflict. This war is not about oligarchs, but about the territorial integrity of Ukraine. Your first suggestion that that is the east railroad crossing is quite correct. If one think obout the west one then some questions will raise: where are buildings behind railroad the the left? why are few trees behind the railroad th the right on video? 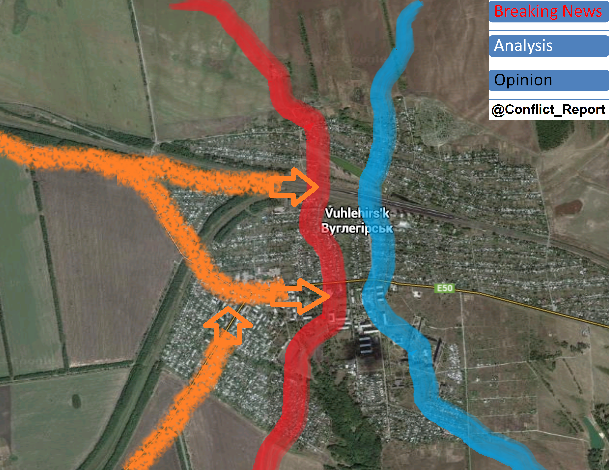 Even though I got branded as a Russian troll for saying that Debal’tseve is as big a mistake as the poor attempts to defend and then retake the airport were, and that the UA Army should pull back to Svitlodars’k and shorten its front line and pick its battles where it can win but not only win but win decisively. I am saying it again.. This Russian military doctrine of trying to defend every Strategic point, City, Town, Hill or Bush is fine if you have vastly superior numbers and that is the problem, Ukraine does not have enough combat proficient troops or enough reliable modern armour to do that. So instead it is spread too thin and loosing good men and equipment it can ill afford to do. Pulling back and picking the battles it can win, would add a vast cost to the insurgent forces rallied against them. We must remember that to maintain the instability in Ukraine that Putin and cohorts desire, requires a constant flare up in hostilities. So it does not matter where the lines are drawn or on what map, these insurgent forces must continue to push to prevent Ukraine having some form of stability and moving on with its reforms and moving further and further away from Moscow’s influence and closer to the EU and potentially NATO. I still fail to understand the logic of sending 1000 National guard to the Moldova border! I kind of understand the concern about Russian forces from Transnistria, but the likely hood of that happening is quite slim, especially since Russia has made it clear it still wants to try and maintain a level of “plausible” deniability, even if that veneer of deniability is very very thin now. Yet if Ukraine had put that 1000 National guard into Avdiivka or Artemivsk it would have caused the insurgent forces a severe headache and real concern about a counter attack on Horlivka and the potential of it being cut off from Donetsk. 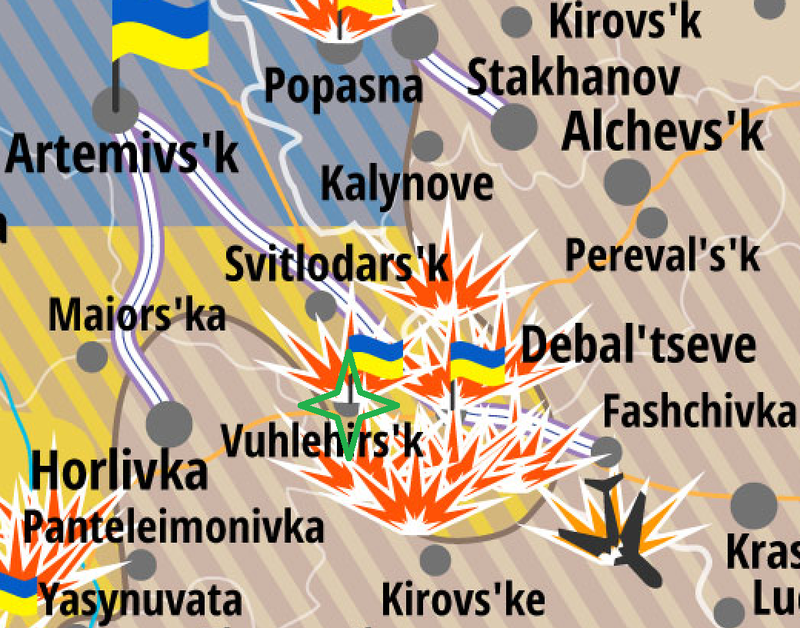 Instead we have the situation where currently all the insurgent forces in the area are focused on closing the Debal’tseve pocket and as can be clearly seen, Ukraine is struggling to hold such a spread out and thin front line on so many fronts. As I also stated in my other posts, you have to question the Ukraine general staff and if they are trying to actively help these Russian insurgent forces with such bizarre command decisions or whether is is just pure ineptitude/incompetence. We all saw the purely ridiculous attempt to support the remaining defenders at the airport with 10 tanks and 10 or so APC’s which by there own admission only two tanks made their objective and most of the APC’s either broke down or got lost. We heard that Ukraine does have a plan to retreat from Debal’tseve if things become desperate and each unit knows the plan and who has to support who. But anyone that has spent time in a conflict knows that even the best laid plans rarely survive first contact. 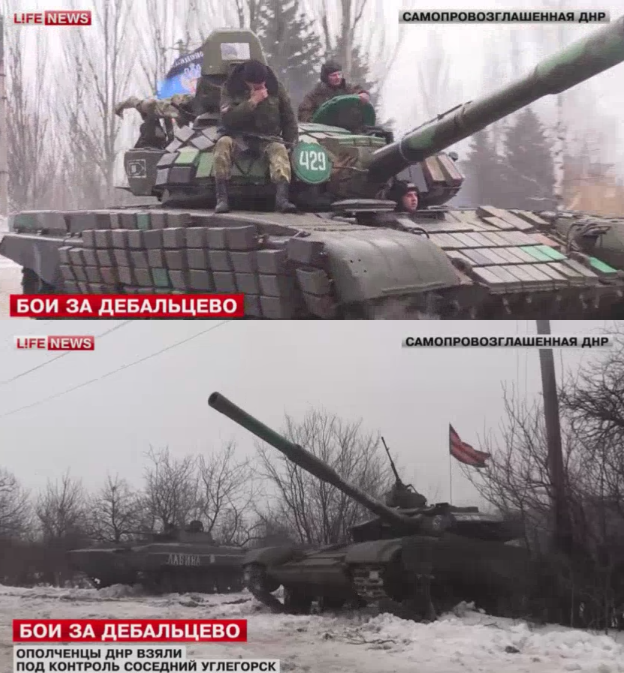 So It does not bode well for Debal’tseve. Now I realise my post has been very negative, on a more positive note the reinforcements UA has put into the Debal’tseve pocket has slowed the advance, my fear is just as the main article states it is just delaying the inevitable. The best hope is for another ceasefire agreement to come out of the Minsk talks and some kind of sudden breakout of common sense in the Ukraine General staff that allows them to make an orderly withdrawal from Debal’tseve and counter attack where they can win and win decisively, when these Russian insurgent forces get prompted by their paymasters to go on the attack again. -A lot of technical skill. Germany used that numerous times in North Africa and the eastern Front when German units would withdraw, or allow enemy units to break into rear areas, then hit back very hard with mobile elite units. Ukraine, however, lacks alot of space in the Donbas, and after a generation or more of neglect of the armed forces, also lacks the fine technical skills needed for a withdraw, then hit back hard and mobile strategies. Also, the Ukrainian generals must look at the social / political situation, Emotionaly, the Ukrainians needed a victory after Illoviask (sp). Their victory was holding the airport for close to five months, and then withdrawing intact. James, your analysis is clearheaded and makes sense to me, depressing though it might be. One additional point: Ukraine needs to increase “boots on the ground” drastically and quickly. I understand that Ukrainian strength at present is in the order of 50,000. In comparison, Croatia, a nation whose population is only 10% that of Ukraine, fielded an army of 150,000 to defeat the Serbs after Vukovar and secure their independence. Ukraine can, and must, do no less. And also, for heavens’ sake, clean out that sodden deadwood in Kyiv, whose chests and beer-bellies are weighted down with Soviet-era medals. The actual current strength is very vague.. If you are to believe the Defense Minister Stepan Poltorak. It is currently 232,000 and this current fourth round of Mobilisation has sent out between 60,000 to 67,000 draft notices to raise that total of active service personnel to 250,000..
Those basic figures give away the huge problem Ukraine has, to allegedly raise the level of active service personnel by 18,000 it needs to send out more than 60,000 draft notices! Quite a few are dodging the draft by producing medical or family reasons and of course you have those that just plainly do not respond to the draft notices. The spokesperson of the Defense Ministry of Ukraine Viktoria Kushnir stated “As of January 25, draft notices were sent to 61,748 reservists, representing 71.7% of the planned measures” So we can take from that they are intending to issue even more draft notices to achieve the required increase of 18,000. The main problem comes from years of corruption within the Armed forces of Ukraine. When all these problems started with little green men taking over public buildings. Ukraine officially had 130,000 active service personnel, but it didn’t, in reality it had maybe half that, many battalions were and are still woefully understrength. Too many Generals claiming pay for service personnel that existed only on paper, unfortunately it still goes on even today when things in Ukraine’s troubled east are dire at best. This is why we hear so much about the volunteer battalions which Ukraine is relying on so heavily and despite some of the political unease many have with such groups as Azov, Dnepr and Aydar, we cannot deny they have been very effective fighters for Ukraine. Some would estimate Ukraine has closer to 185,000 active service personnel and of that maybe 80,000 are combat proficient to a standard most NATO countries would accept. I realise that sounds incredibly pessimistic and again will get me branded as a Russian troll. This is not as bleak as it initially looks or sounds, the combat proficiency is increasing rapidly every day and given the poor equipment these guys are fighting with they are doing an absolutely amazing job. On another good note some 2,500 have volunteered without receiving draft notices, so the picture is not as bleak as this post initially sound or as some would like us to believe. We come back my same point. Ukraine must pick its battles carefully and fight were it knows it can win, not just win but win decisively. Cede ground where it cannot, it must abandon this frankly absurd Russian Military dogma it is following of trying to defend every strategic point, city, town, hill and hedge as it just does not have the man power or armour to do that. This way it would increase the costs on the insurgent forces with morale sapping looses of both men and armour, then and only then will any potential political negotiation stand a chance of happening. Just to reitterate the point made in previous posts, I 100% support Ukraine and its independence and would love nothing more than to see Zakharchenko and his ilk crushed under Ukrainian boots. But to achieve that Ukraine has to start being honest with itself and face up to its problems, unite together and every Ukrainian has to take some personal responsibility to fix these problems its armed forces have. Create special task forces, or “combat groups”- but dont call them combat groups as that was the German term. These Task Forces pair the best leaders with the more combative soldiers and then hit back hard when ever the rebels advance against or through ordinary troops. I think a good start woould be to give a capable Colonel command of a Task Force consisting of the very combat willing Donbass batallion, 2 proven companies of tanks, and an engineer company. Hi. I am on the ukrainian side and I am dissapointed by this situation. What are ukrainian generals doing ??? We are reading on internet at least one week that Delbacevo is going to be encircled and now it is reality. Why they did not send there some more forces ? Or why they do not pull back ? 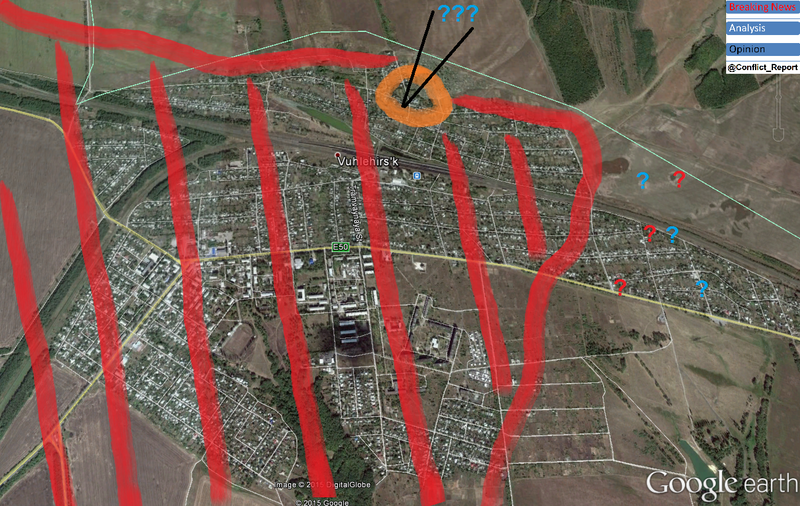 Or for example why they do not attack Donetsk, so the rebels than will have to send some forces to defend Donestsk ? I do not understand the commanders of ukrainian army. They should pay some american advisors !!! Unfortunately I think that “help” of american advisers is the reason why Russians are fighting in Ukraine.